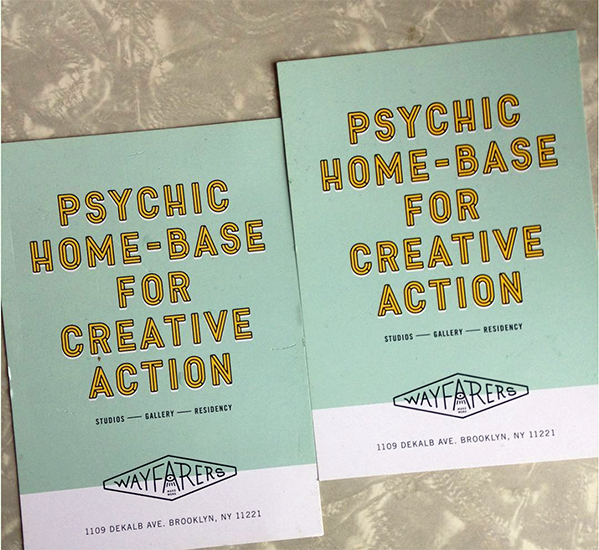 Wayfarers is an artist-run studio program, art space, and psychic home base for creative action in Brooklyn, NY. Since 2011 we’ve been supporting the development of experimental work through innovative exhibitions, lectures, screenings, performances, and other cultural programming, all of which are free and open to the public. Wayfarers provides affordable studios, work space and equipment access, as well as exhibition opportunities, critical discussions and social events for members, all of whom who are directly involved with operations.